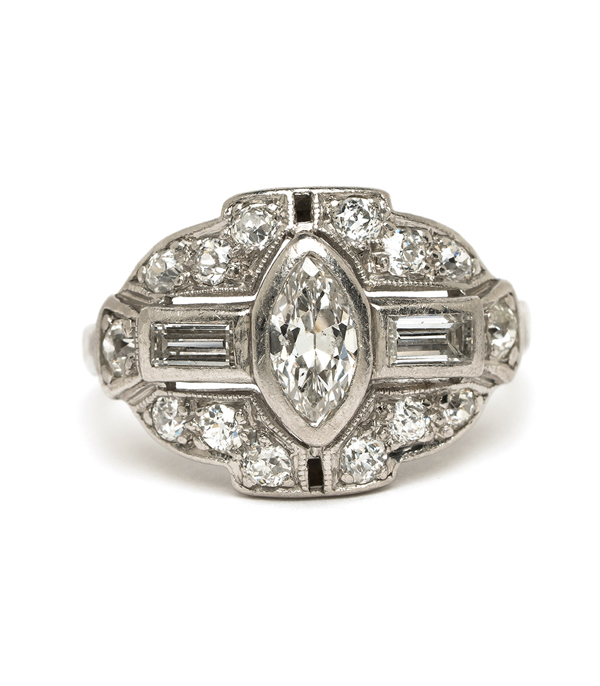 A silvery mix of bezeled and prong-set Baguette, Marquise and Old European Cut diamonds come together to create the Art Deco Marquise Bandeau Ring circa 1930. 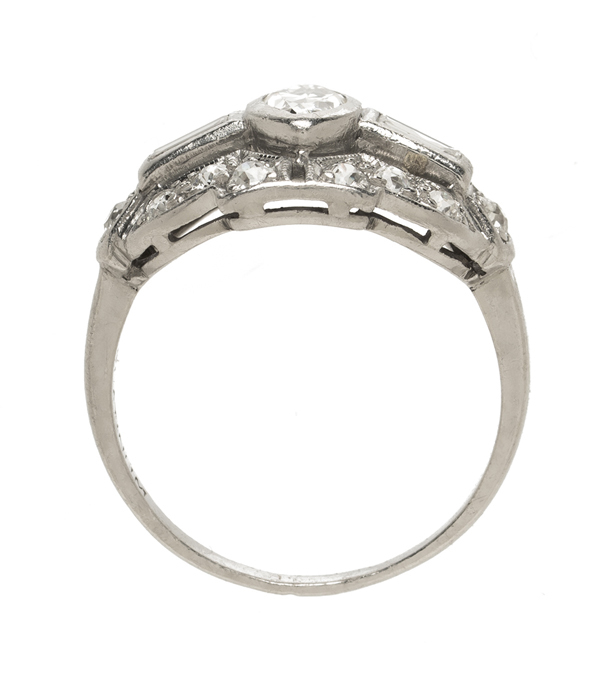 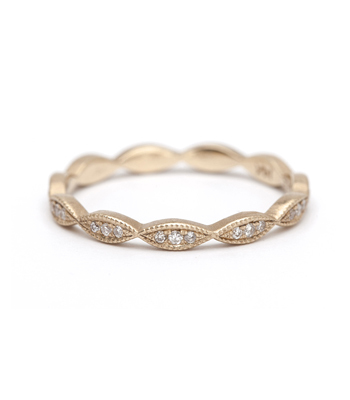 Perfectly curved platinum edges allow the ring to hug the finger in Art Deco perfection. 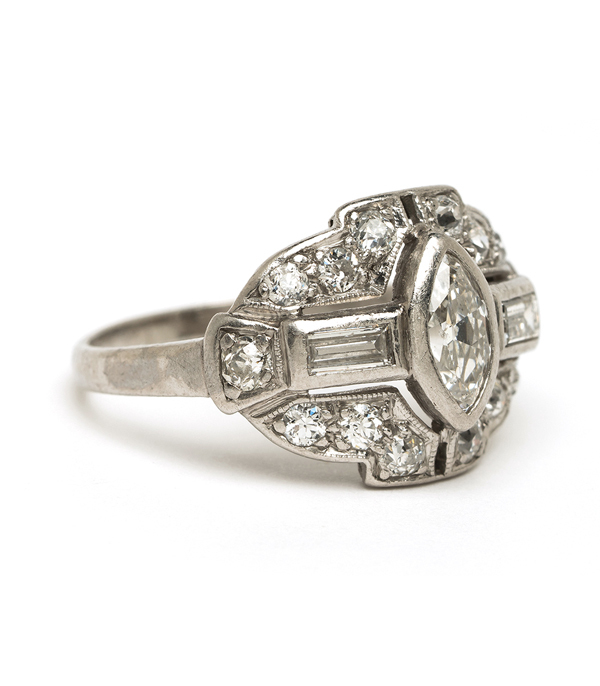 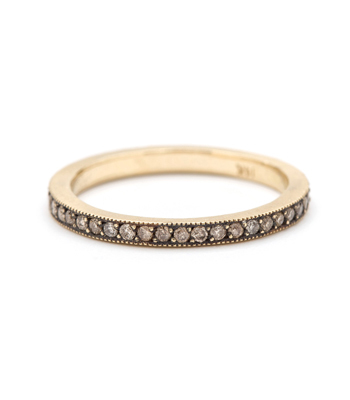 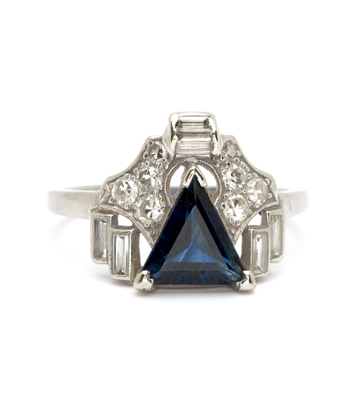 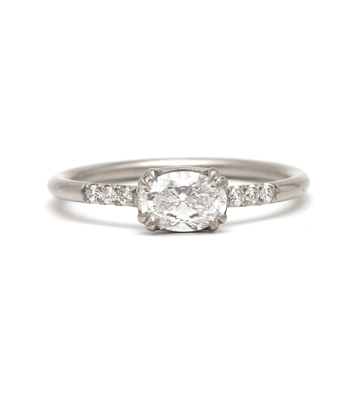 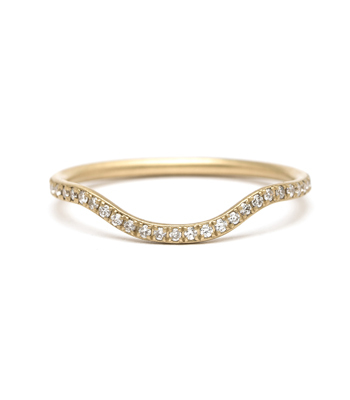 This true vintage engagement ring is super low profile making it perfect for the lady on the go! 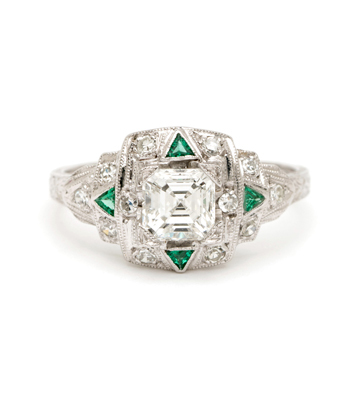 Categories: Art Deco Jewelry, New Arrivals, One of a Kind Bridal, Vintage Engagement Rings, Vintage Rings.